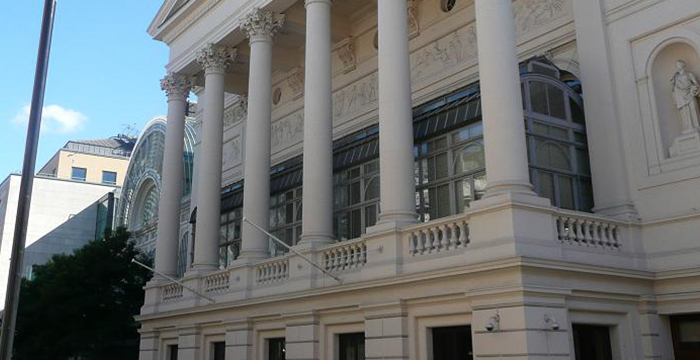 A high-flying hedge fund lawyer “repeatedly punched” a fellow opera-goer in the shoulder after a row broke out over a coat on a seat, Westminster Magistrates’ Court heard. Matthew Feargrieve, a lawyer at London’s MF Consultancy, an independent legal advisory business, allegedly attacked classical music lover Ulrich Engler, during a performance of Wagner’s Siegfried at the Royal Opera House on 7 October last year. The disagreement kicked off when Engler supposedly moved a coat belonging to Feargrieve’s wife from an empty seat and onto her lap, Court News UK (£) reports. However, the experienced Oxford-educated lawyer claims that Engel had actually asked his wife whether she had paid for the vacant seat, before throwing the coat to the floor. Feargrieve’s account is that his wife, who hasn’t been named in the report, then attempted to protect the jacket by moving towards it, only for Engel to push her so that she fell back towards her husband. Feargrieve, who also spent two years at Appleby, the offshore outfit which hit headlines in 2016 after it was targeted by hackers, denies assault by beating. His trial is scheduled to start on 9 May. Feargrieve has been approached for comment.